A recent study from the Arizona Department of Transportation indicates that an Arizona driver is involved in some kind of motor vehicle collision every 10 minutes across the state. In these instances, it is not uncommon for a passenger to suffer serious injuries due to the crash. Unless the passenger commits an obvious act that distracted the motorist or in some way contributed to the vehicle accident, the passenger is typically considered free of liability in a car crash. However, this fact does not mean that they are not entitled to recover damages from the at-fault party or parties involved. When a passenger chooses to travel with another, they are placing their life in the hands of the driver. Unfortunately, this means that the passenger has no control over what will happen to them in the event of an auto accident. While limited control exists during this time period, passengers do have complete control over what happens to them following the crash. The negligent motorist who caused the collision is responsible to handle any and all damages present in all accident victims. If you or a loved one has suffered any passenger accident injuries, you may be entitled to recover compensation for the damages suffered such as lost wages, medical bills, and any other costs associated with the traffic crash. Phillips Law Group believes that at-fault parties in a motor vehicle collision must be held liable for their careless actions. 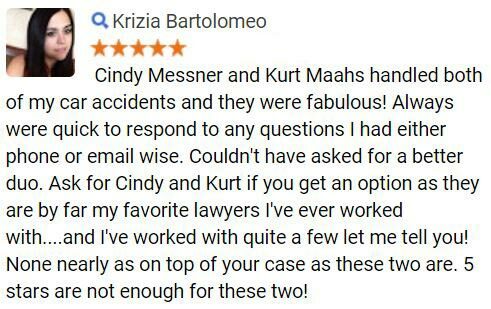 With a team of experienced car accident lawyers, we work hard to achieve the maximum compensation for our clients. 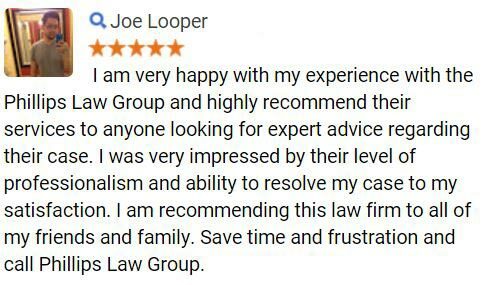 To learn more, please fill out a Free Case Review today. Passengers are responsible to safely sit in the vehicle without providing distractions or showing any other dangerous behavior. Unless the passenger in the vehicle has directly caused the collision, they will be entitled to certain recompense from the at-fault driver. More than 49,000 Arizona residents were injured due to an auto accident in 2011. Sadly, passengers often have a limited reaction time due to their lack of control in the events preceding the crash. Due to this fact, severe injuries are commonly suffered by accident passengers. As one of the most common types of passenger accident injuries, head damage can range from mild to severe. Some of the most typically seen types of head injuries include concussions, skull fractures, and traumatic brain injuries. Caused by the jerking motion, either forward or backward, of the head and neck, whiplash is often associated with rear-end accidents. While some cases of whiplash heal in just a few weeks, others may be much more severe and cause chronic pain after the injury is sustained. Also referred to as broken bones, these types of passenger accident injuries are very common in traffic crashes. When the force of an impact exceeds that in which the bone can handle, a brake or fracture may occur. Back and neck pain is one of the most common outcomes of any traffic collision. Ranging from sprains and strains to fractured vertebrae and herniated discs, back injuries can truly affect an accident victims day to day activity. Treatment for back pain includes ice, rest, physical therapy, medication, and in some cases, surgery. When a severe blow to the head is sustained by an accident victim, brain injury may occur in the passenger. Unfortunately, many of the symptoms of brain injuries do not appear immediately. This often delays the passenger from seeing professional medical care and sometimes worsens the injury. All passengers and accident victims must see a doctor as soon as possible following a crash. When a sudden blow either fractures or dislocates the vertebrae, a spinal cord injury may develop. As pieces of the vertebrae press down on or pierce the spinal cord tissue, the nerves are unable to carry signals. Spinal cord injuries are broken into two categories: complete or incomplete. When a passenger losses almost all feeling and ability to control movements below the level of damage, a complete injury is present and the patient is paralyzed below injury location. In an incomplete injury, only some feeling and ability to control movement is lost. In the worst case scenario, the occupants in the vehicle are unable to sustain the crash. Sadly, thousands of Arizona residents are killed in motor vehicle collisions each and every year. When this terrible event does occur, the victims family members may be entitled to recover costs for funeral expenses, medical bills, and other expenses linked to the car crash. 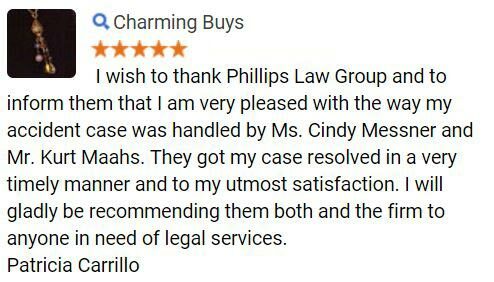 Phillips Law Group takes pride in giving a voice to all vehicle occupants. When passenger accident injuries are suffered, these people must be represented adequately in order to receive recompense for the damages and suffering endured. 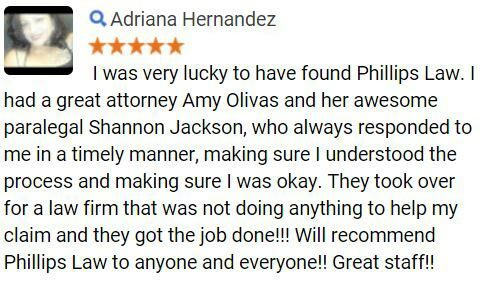 If you or a loved one has been injured in an auto accident, the Phoenix personal injury attorneys of Phillips Law Group are here to help. Combining years of experience with unmatched expert resources and a dedication to the law, we represent our clients with strength and passion.